Why use Brick Pavers in Miami? When it comes to landscaping projects, homeowners look to add aesthetics and functionality to these outdoor spaces. The one other aspect they take into consideration is durability. Since these areas are exposed to the elements, it becomes very important to use materials that will be able to withstand the climatic changes and not get impacted by things like dirt, debris and stains. With this in view, Brick Pavers in Miami become an excellent option for use in driveways, pathways and walkways etc. In fact, these look good in any outdoor spaces and many property owners use these installations in their outdoor kitchens, patio and fire pit areas too. They can also be used for poolscaping and they add to the charm and attraction quotient of the property and increase its value too. We at Southern Asphalt Engineering Inc are one of the leading companies in this space and have installed Brick Pavers in Miami on numerous commercial and residential properties. Easy installation- The installation process for these pavers is quite easy. Once the installation has been completed, there is absolutely no waiting period. While certain driveway materials can’t be installed in all types of weather, brick paving can be installed at any point of time. Skid-resistant– One of the main problem of many outdoor flooring installations is that they tend to gather moss and become very slippery, especially when it rains or snows. 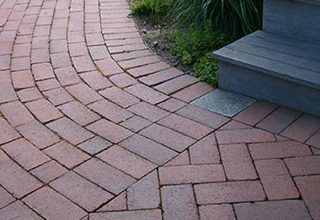 Brick paving is skid and slip-resistant as it is rough & textured; this makes it a much safer paving option for outdoor spaces. Variety– These are available in a range of colors apart from the standard rust red. This means you can create the kind of look and effect you want on your property. They also suit rustic, modernistic and contemporary styles of architecture. No matter what the look of your home, they add to its aesthetics. In addition to all these things, repair of Brick Pavers in Miami is also very quick and easy. In case of any damage to the installation, only the individual pieces have to be replaced. This makes the repair and maintenance more cost effective too. For more information about Driveway Pavers in Miami, call Southern Asphalt Engineering Inc at (305) 667-8390. You can contact us via this online form.